Sub-zero temperatures destroy fat cells in the body, via non-invasive treatments for slimming, cellulite reduction and toning. Manhattan and Hollywood's hottest workout is featured exclusively in Studio Burn and our Los Gatos annex. A challenge of strength, endurance and willpower... This 45-minute workout is the world's most effective total body workout for strengthening, lengthening and toning your body. Step out of the ordinary and into The JuJu Room. Relaxation, rejuvenation and recovery converge for a magical spa experience. With the latest in advanced technology from Paris, Cryoskin offers the most advanced non-invasive treatment solution for slimming and toning. Unlike other treatments, Cryoskin uses science that works with your body’s natural systems. The hot-cold Peltier effect kills fat cells without damaging surrounding tissue and increases oxygen supply that aids in collagen production, resulting in slimmer, toned bodies, and the elimination of fine lines and wrinkles. Quick and convenient treatments last between 20-30 minutes, with no recovery time. Cryoskin has all the fat loss benefits without any lasting side effects or discomfort. 88% of people surveyed found the treatments to be comfortable and relaxing. Treatments that work like magic will have you feeling the good JuJu. Our infrared sauna melts your day away while detoxifying and burning calories, making your skin glow. Turn back the clock with our LED whole body red light therapy bed. Reboot your body with whole body cryotherapy. The healing vibes are strong in The JuJu Room. 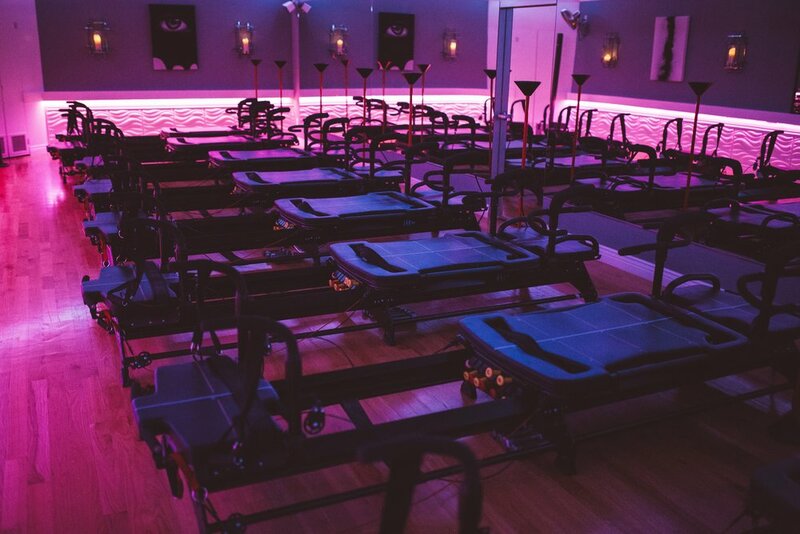 Used by Hollywood's hottest bodies, including the Victoria's Secret Angels - THIS is the pinnacle of group fitness training and it's here in South Bay at JuJu Life. In just 45-minutes, you'll get stronger, leaner and longer faster than you've ever imagined. The all -in-wonder Megaformer allows you to do strength, balance, cardio, flexibility and endurance training all at once. See how the magic works. It's a workout so powerful we gave it its own two studios. Inspired by pilates. Perfected by the world's most demanding athletes. Brought to you by JuJu Life. No detail was overlooked in the creation of JuJu Life and it's those tiny details that will delight you every time you step into our world. Whether it's the real candle-lit atmospherics of Studio Chill or the infrared heated shower and its Bliss™ products, you will FEEL the difference. Ready to go further? Discover the magic of living at JuJu Life. 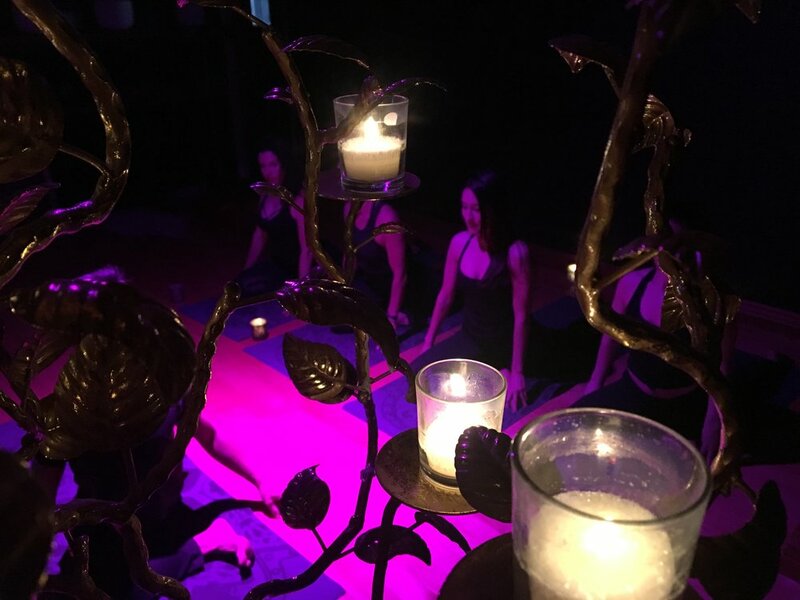 Book classes and treatments by clicking the button below.